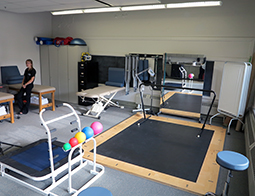 A unique new Ohio University clinic for performing artists, the SHAPe Clinic, short for Science and Health in Artistic Performance, is a place where injured performers can be evaluated, treated and receive health and wellness advice from licensed athletic trainers who have the specialized equipment and knowledge to treat such injuries. Best of all, the care is provided with no out-of-pocket costs to the performing arts student. The facility is a collaboration between the College of Fine Arts and the College of Health Sciences and Professions. Its director is Jeff Russell, an assistant professor of athletic training….